This super stylish modern rug in red and black colours from the Noble House collection has a glossy pile with silky highlights to add a fashionable bit of bling to your floor. The contemporary design yields a hand carved high and low pile to emphasise the simple geometric design. 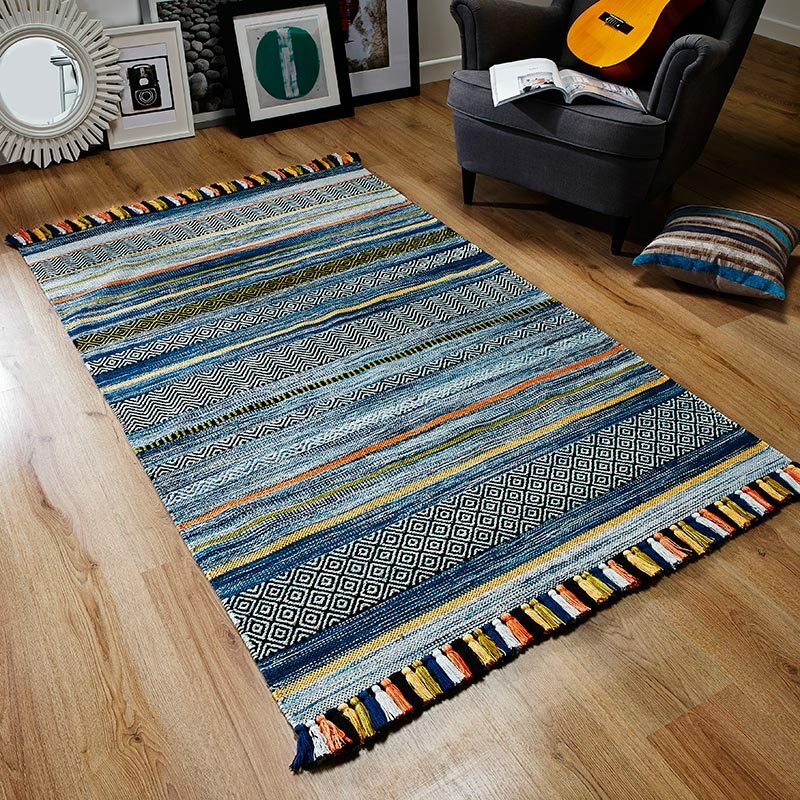 Made from a mix of high quality Acrylic and Polyester; these rugs have an assuringly soft fluffy shaggy pile with a silky feel and they look great on any floor. Choose from medium 120x170cm size to the large 150x230cm size for bigger spaces and give your room a luxury look that's simply stunning. There are 7 other colours to choose from if this colour is not for you.